Home Opinion UI POOR TOILET SYSTEM, WHO TO BLAME: STUDENTS OR MANAGEMENT? One of the facility that makes life easy and comfortable for students on campus is the comfortability of students especially using the restrooms. How comfortable one can be while releasing those wastes or detoxifying the body waste is subject to the critical states of toilet facilities on campus. The point now is that, who is to be blamed for the poor handling of the toilets, is it the management who employs those that clean it or the students that many times misuse these facilities? 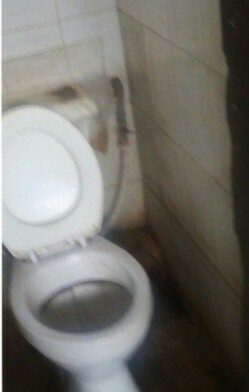 As the case is in Nnamdi Azikwe hall, where the toilets are so bad and in a pitiable state, the students in the hall battle with unavailability of water and many a times, they find refuge in their neighbors, independence hall for water, so invariably when a hall lacks adequate water, how will it toilets look like? I guess, it will be so bad and will always host flies as majestic guests. Speaking with one of the resident members of the hall, he blamed the hall management for not looking into the issue of water which directly affects the handling of toilets in the hall. In Mellanby, their case seems different from that of their Zik brothers because water is flowing in toilets and bathrooms in the hall like the rivers of Babylon. We can therefore say to some extent that toilets in the hall is relatively okay for students usage. In most male halls in University of Ibadan, toilets facilities are so bad that it is not a comfort zone but a zone where you hurry up do your business and rush it covering your nose. Speaking with a female resident member in Queen idia hall, She explained that though water run in some toilets in the hall, as a austerity measure, the hall management caters for those who clean the toilet on a daily bases but some dirty students cannot stop messing it up, this is however pathetic, how will students use the toilets without flushing even with availability of water. “I don’t even take a look at the toilets and bathrooms, I use them and leave as quick as possible” a resident member of Obafemi Awolowo complained about the bad state of toilets in the hall. “Well, some students are not helping too” she added. In the female toilets of Faculty of Arts, Maggot walks freely and the atmosphere is such odoriferous. I can’t hurriedly forget the day when the smell of the toilet near the large lecture theatre drove us away from class, that unfaithful day, the lecturer had no choice than to end the lecture for that day, isn’t that a bad image for the first and the best University in Nigeria? Go to faculty of education where the toilets will be closed all because there is no water, students have to look for alternative to answer nature when it calls. The poor toilets, is it as a result of poor management from the authority or the poor handling from students. Students however are pointing accusing fingers at the management for not providing adequate water supply and they’ve apparently tagged that to the bad state of toilets while management have in turn blamed the students for poor handling of the toilet. One of the reason for the hike in hostel fees was that of toilet facilities, should we say the management are warming up to do the needful about it? Even let say if it is done in a good way, will students who are fond of messing it up stop the uncalled behavior? Who should the blames of the bad toilets be put on, the kings or the citizens? I appreciate this piece but condemn the fact that my hall (Nnamdi Azikiwe) was sited as a bad example… for future sakes keep us anonymous . IS THE UI STUDENTS’ UNION READY FOR ELECTRONIC VOTING?